I don’t usually go for “cute” but who can resist the charms of the above Stampendous! 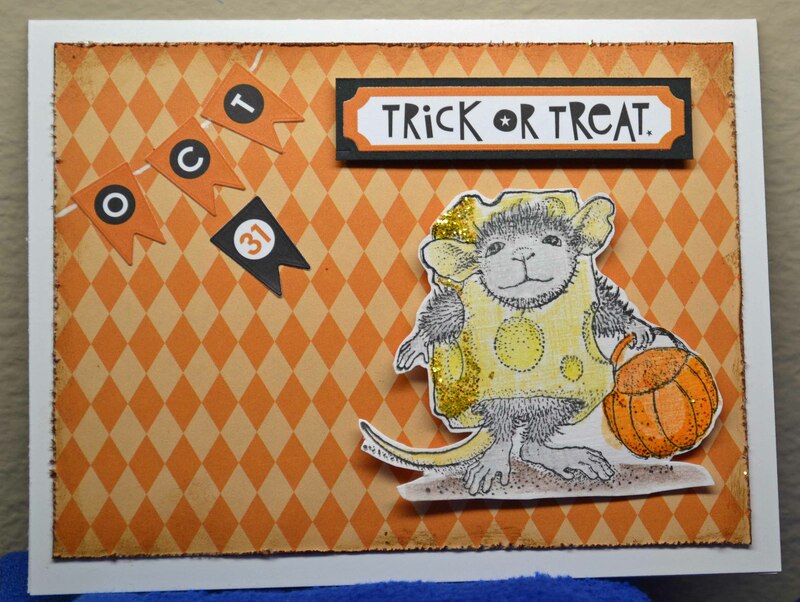 House Mouse dressed in a “cheesy” costume? 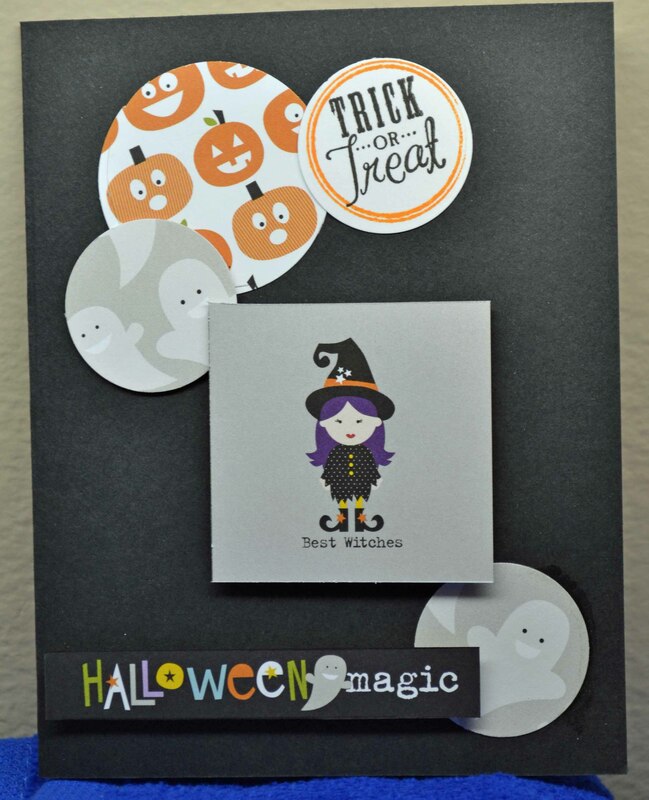 The paper and the cut outs are all from Bella Blvd’s Halloween Magic collection. The mouse was colored with watercolor pencils and a touch of Ranger’s Stickles glitter glue was added to the side for a little extra sparkle. 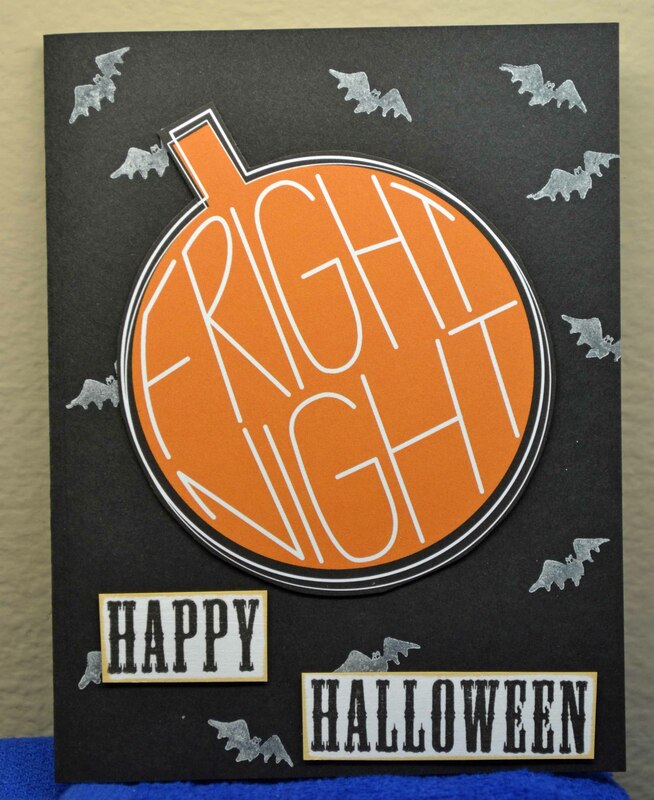 Another easy-peasy card using the same Bella Blvd paper collection. The bats are by Hero Arts (stamped in white pigment ink), the Happy Halloween is from a Close To My Heart set. 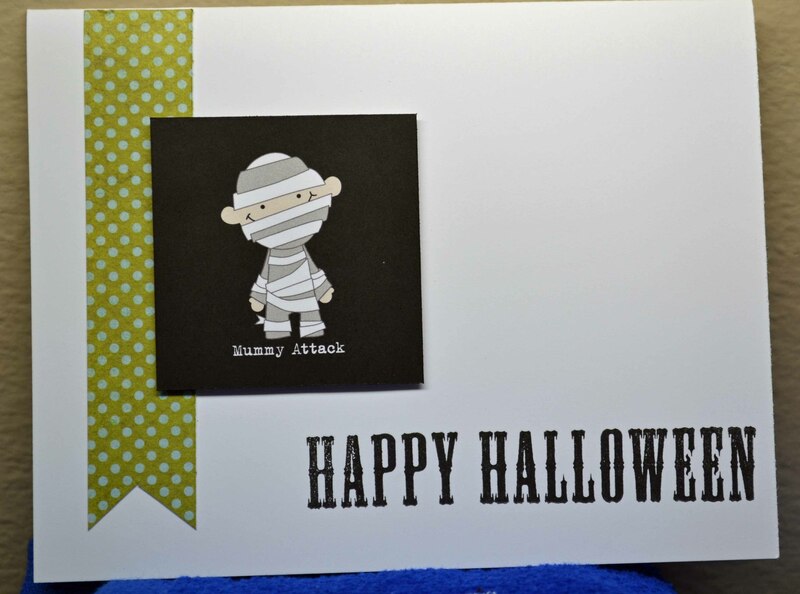 Yes, ghosts and goblins are in the air as card makers gear up for Halloween! Happy Halloween is from the same CTMH set as the small trick or treat. Such a useful set! 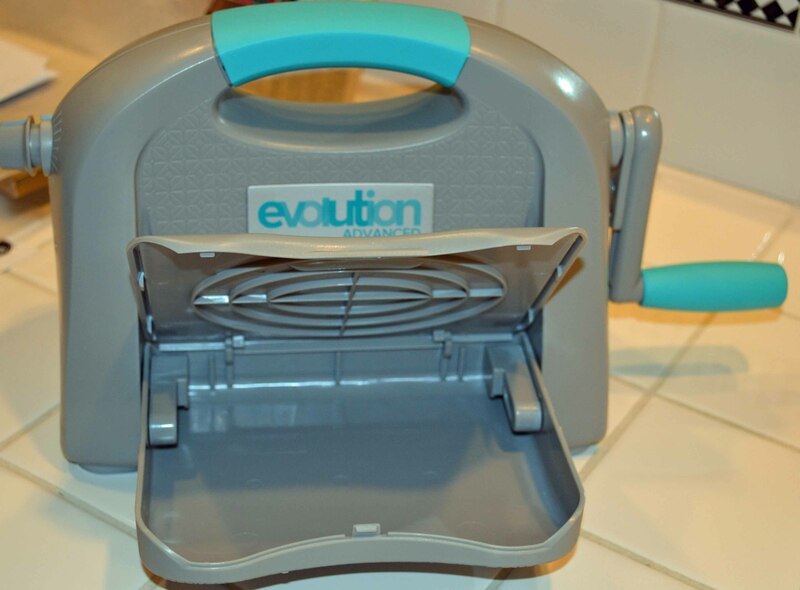 Oh, my, how the Evolution die cutting machine has evolved! I must admit, I found it tough to pull down the platform panels. 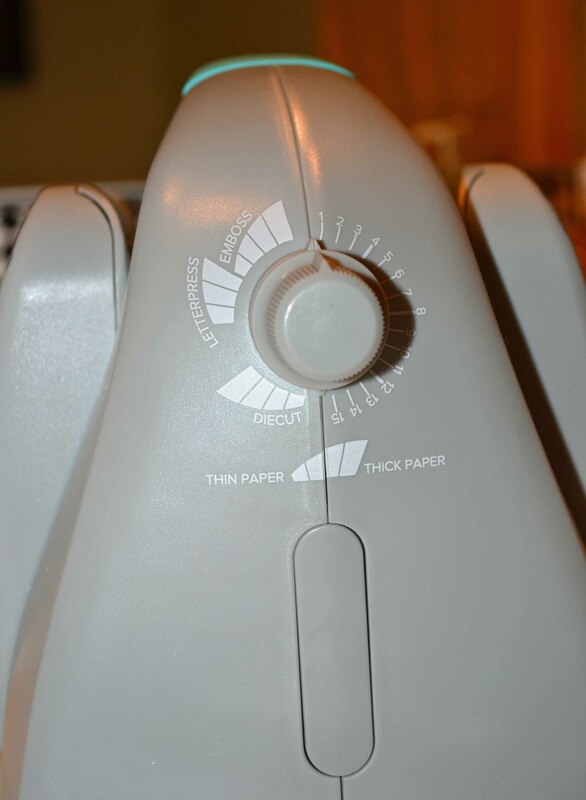 But once I did, I found that the bottom suction cups (which become engaged when you pull down the panels) were nice and strong. And I LOVE the storage compartment in the platform. 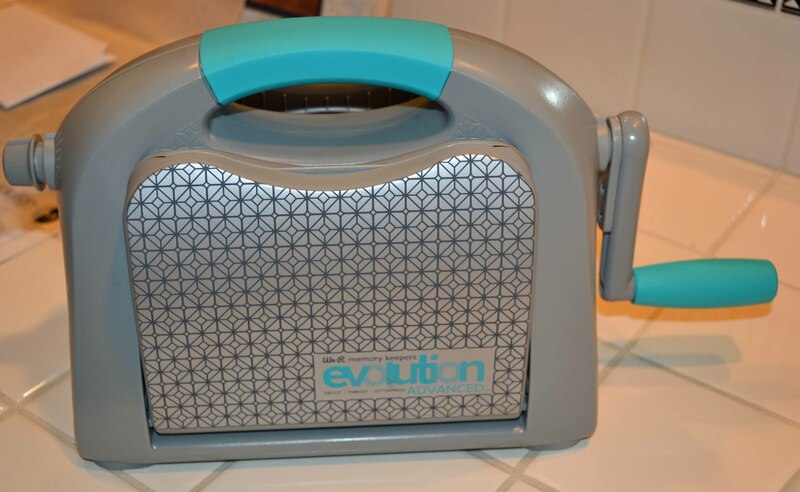 The machine still has all the features that make it a wonderful tool — it die cuts and embosses and is compatible with most other dies and embossing folders. The Evolution also has a letterpress kit, sold separately, but a valuable addition. I love the look of letterpress and am anxious to try my letterpress platform in the Advanced. The Advanced has a new dial system that adjusts the height of the rollers, changing the pressure. The idea is that you don’t have to bother with a variety of mats (just the base plate and one mat). I found the dial stiff and hard to turn, but I’m hoping it will be easier the more I use it. The dial is supposed to eliminate the need for extra mats and shims, but we’ll have to see if mine gets easier to turn. Once I figured out the right dial level, the base plate ran through like a dream. One other cool option — a motor! Yes, you can buy a plug-in motor that runs the whole shebang for you. This will be a boon to anyone who has hand issues. The Evolution was originally sold by Lifestyle Crafts, then by We R Memory Keepers, and now by American Crafts. 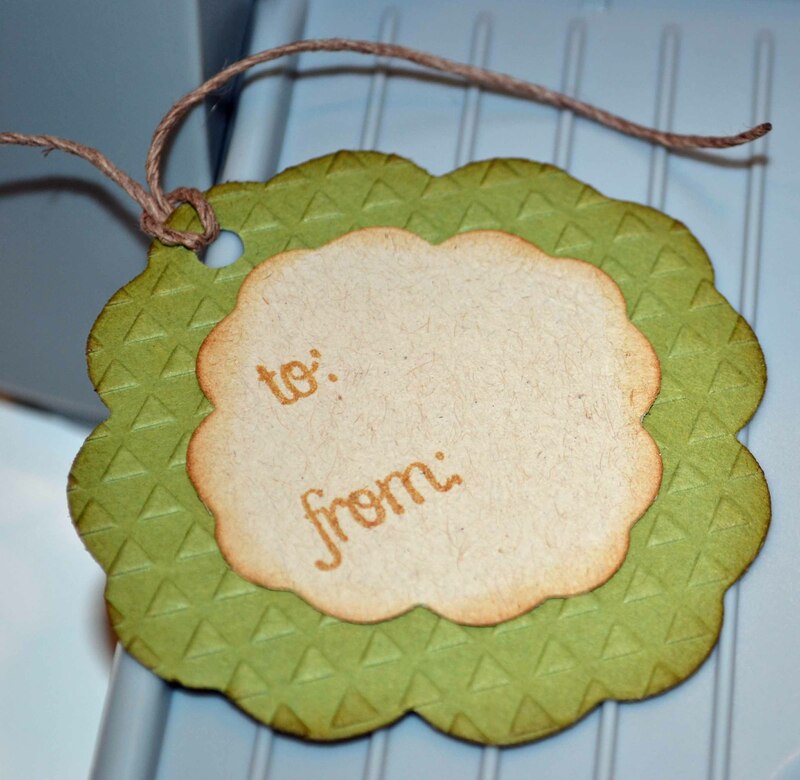 What are your thoughts on die cutting machines?